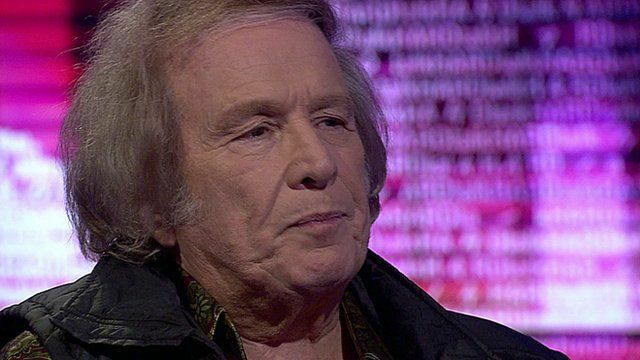 McLean: Music business is a PR tool Jump to media player Singer-songwriter Don McLean tells BBC HARDtalk the music business as he knew it was 'dead'. What does American Pie mean to you? Jump to media player The original manuscript of Don McLean's American Pie has sold for $1.2m (£806,000) at a New York auction. Secrets of American Pie revealed? Jump to media player The original manuscript to Don McLean's iconic song American Pie is up for auction in New York - with an estimated value of $1.5m. The music business has become an investment as a PR tool for a band's next tour, the singer-songwriter, Don McLean has told BBC HARDtalk. "It's not the content, it's a mindset of business," he said. "Anyone who is really contrary, who says something, that is really truthful and goes against certain things is going to find themselves blacklisted," he added. Go to next video: What does American Pie mean to you?